SYDNEY: Australia’s prime minister called for greater investment and engagement with Indonesia yesterday, ahead of talks with his Indonesian counterpart on a free trade deal that could be signed later this year. The Asian neighbours have been in prolonged trade talks since 2010, with diplomatic tensions between the two sides occasionally stalling the negotiations. “The economic relationship is where we’re underdone,” Prime Minister Scott Morrison told reporters in Jakarta before the meeting with Indonesian President Joko Widodo later yesterday. “Its the economic relationship that needs more ballast, more grunt, more investment, more engagement and that is what we’re here to set off with this new arrangement,” Morrison said. Australian Trade Minister Simon Birmingham said in a radio interview that negotiations had concluded and he hoped that a “final agreement will be signed this year”. “From here we then go on to settle all of the final text, but the contents of that text has now been agreed, we just have to get all of it in order for signature,” Birmingham told the Australian Broadcasting Corporation radio from Jakarta. Although Indonesia is Southeast Asia’s largest economy and Australia the 13th largest in the world, their trading relationship is limited and neither count the other as a top partner. 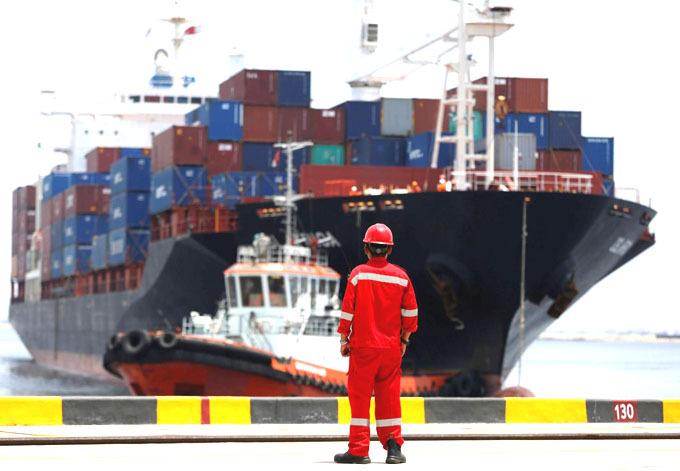 Boosting exports, including by securing market access for Indonesian products through free trade agreements (FTAs), is also a priority for Widodo’s government as it tries to put a floor under the country’s falling rupiah currency. Australia was the 14th-biggest buyer of Indonesian exports in 2017, while Indonesia is Australia’s 13th-largest trading partner, with Australia putting two-way trade at A$16.4 billion (US$12 billion) in 2016 to 2017. Some 90 per cent of Australian goods exported to Indonesia, by value, would enter duty free or “under significantly improved arrangements” under the deal, Birmingham said, adding that was up from 85 per cent under previous deals. Birmingham listed frozen meats, live cattle, feed grains, dairy, citrus and rolled steel as examples of Australian products destined for favourable treatment under the deal, without giving details.